Canon announced three new lightweight lenses to their lineup not too long ago and I got the chance to have a hands on with them for a short period of time when they were launched together with the Canon EOS 7D Mark II. Let me share with you more on the three new lightweight lenses from the Canon media press releases. 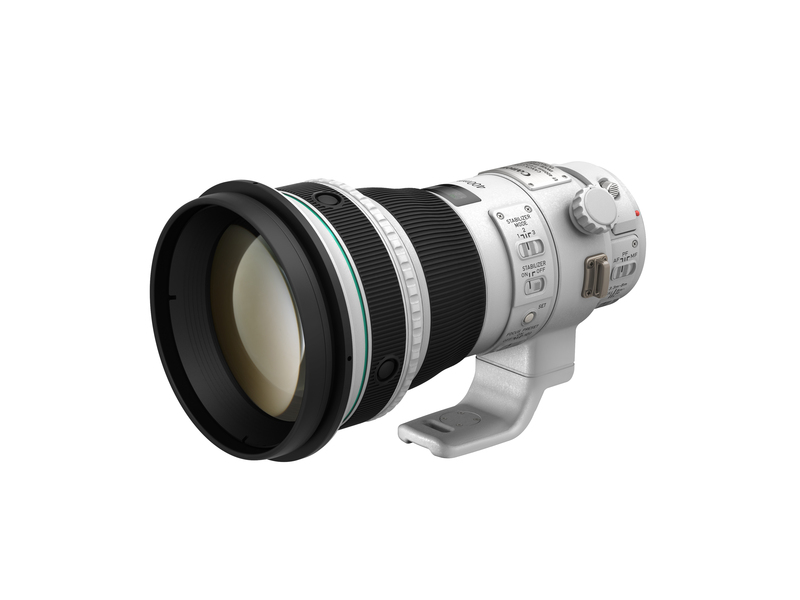 A successor to the EF400mm f/4 DO IS USM, the EF400mm f/4 DO IS II USM is a professional lens that is particularly suited for wildlife and sports photographers. This lens allows photographers to achieve the reach of a super-telephoto lens, while maintaining superior standards of mobility in the lens through its portable and lightweight form factor. By commercializing DO technology, Canon has empowered photographers with the ability to control chromatic aberration while keeping its lenses both compact and lightweight. While traditional telephoto lenses are usually designed with gaps between the optical elements to reduce chromatic aberration, the EF400mm f/4 DO IS II USM uses a gapless dual-layered diffractive optical element, which greatly reduces the ring-shaped diffractive flaring caused by high-intensity light sources. This reduction is taken further with the incorporation of a large diameter ground aspherical lens and a UD lens. The EF400mm f/4 DO IS II USM contains an improved IS unit that significantly enhances image stabilization when the appropriate IS mode is selected. IS Mode 1 is designed to shoot still subjects, with the equivalent clarity and sharpness of shooting at a shutter speed of 4 stops faster. IS Mode 2 is designed to photograph action scenes that require frequent panning, such as track racing and swimming, and reduces erratic movements that may arise due to panning, or a sudden change of viewing angles. IS Mode 3 is geared for subjects with unpredictable movements, such as soccer players. In this mode, image stabilization is not applied when the shutter-release button is held midway. This eliminates sudden movements in the viewfinder, which then allows the photographer to better track fast-moving subjects. Finally, an electromagnetic diaphragm with 9 aperture blades ensures smooth and circular ‘bokeh’ blurs. Keeping subjects in sharp focus is made intuitive through two powerful functions controlled by the playback ring. When set in the Auto Focus, Power Focus and Manual Focus modes, Focus preset allows the user to set a desired focal distance and to recall the exact settings at any point with a simple turn of the playback ring. When shooting movies, Power Focus Mode gives cinematographers more control over the focus shift speed, allowing them to toggle between two available speeds through the playback ring switches. With a combination of a high-speed CPU, optimized AF algorithms, inner focusing and ring-type USM autofocusing, the EF400mm f/4 DO IS II USM has a highly-responsive AF speed, and keeps subjects in tight focus with minimal user intervention required. The EF400mm f/4 DO IS II USM now features a shorter minimum focal distance, down to 3.3m from 3.5m in its predecessor. Maximum magnification has also improved from 0.12x to 0.13x as a result of the superior lens characteristics. 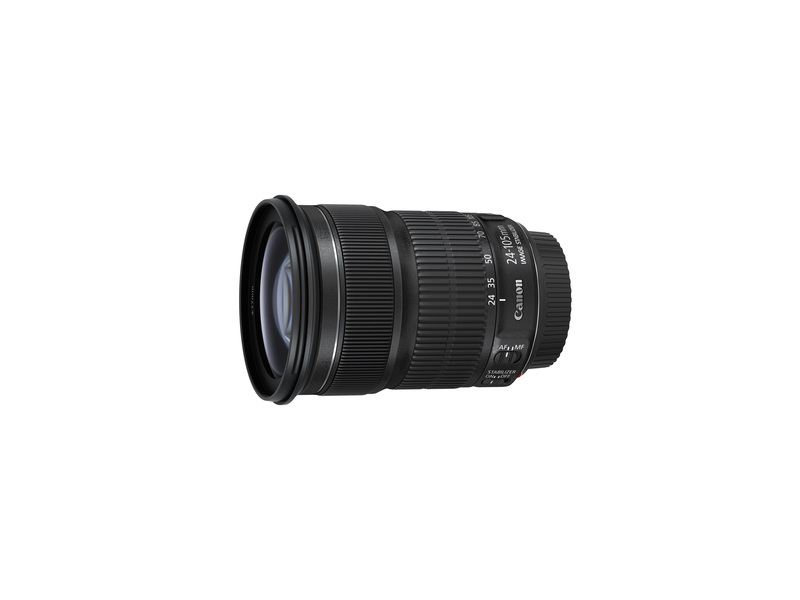 The EF400mm f/4 DO IS II USM is highly resistant to harsh environments. This is achieved through a fluorine coating on both the front and rear lens elements, which makes the lens dirt and oil-resistant while easier to clean. All rings and buttons are constructed with a dust and drip-proof structure, preventing dust and liquid from entering the sensitive interior of the lens. 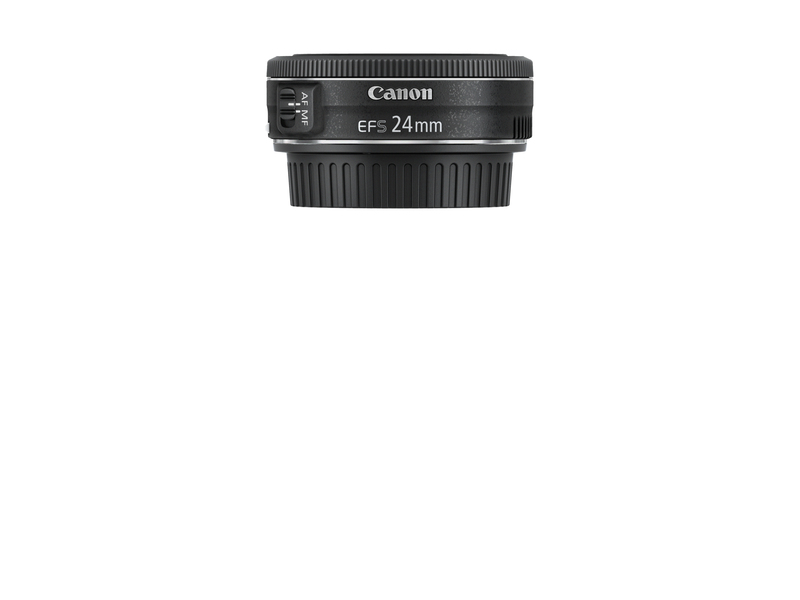 To enhance user-experience and to encourage photographers to explore new options beyond standard kit lenses, Canon has created the new EF-S24mm f/2.8 STM – the lightest and thinnest lens in the EF-S series for APS-C sensor cameras. The pancake EF-S24mm f/2.8 STM lens is significantly smaller than a kit lens, measuring 22.8mm in thickness (about a third in thickness in comparison to a kit lens) and weighing in at only 125g (approximately the same weight as a smart phone). When equipped on the camera body, it significantly reduces the size and weight of the setup, granting users and travelers increased convenience in bringing their DSLRs along with them on a trip. The 24mm (35mm equivalent) focal length grants the EF-S24mm f/2.8 STM a natural wide angle view, making it highly versatile for capturing everyday scenes involving pets, food, friends and environments. While beginners may be unfamiliar with a prime lens, its fixed focal length encourages users to be more dynamic and experimental with their camera angles. Its short minimum focal length of 0.16m and maximum magnification of 0.27x also makes it ideal for food photography and capturing small details. While an authentic and natural ’bokeh’ effect is not possible on any smartphone camera in the market today, the EF-S24mm f/2.8 STM’s shallow f/2.8 aperture delivers beautiful background blurs to achieve outstanding portrait shots, with the GMo aspherical lens assuring users of high quality images. As the EF-S24mm f/2.8 STM operates on a quiet STM mechanism, audio quality of movies remains unaffected with the minimal noise from lens during the focusing process. Image quality is preserved across the entire zoom range due to the use of two GMo (glass-molded) aspherical lenses. Furthermore, a UD lens corrects chromatic aberration to reduce color fringing to provide accurate, life-like colors. Finally, a 7-blade circular aperture diaphragm in combination with the IS functionality enables users to capture night scenes with natural and beautiful background blurs. Macro photography is also made possible with a minimum focal distance of 0.40m and a maximum magnification of 0.30x at all zoom ranges. The Image Stabilization function in the EF24-105mm f/3.5-5.6 IS STM allows it to capture a level of sharpness equivalent to a shutter speed of 4 stops faster, and is also intelligent enough to detect the movement of the camera and accordingly adopt the most appropriate IS mode for any particular shot. The EF24-105mm f/3.5-5.6 IS STM is the first EF lens to come equipped with a lead-screw type stepping motor (STM). It also features a full-time manual focus mechanism that allows for manual, minute focus adjustments. The motor is highly responsive, allowing for quick and smooth AF. It is also silent, making it ideal for movie capturing, especially when used with a Movie Servo AF-compatible camera.